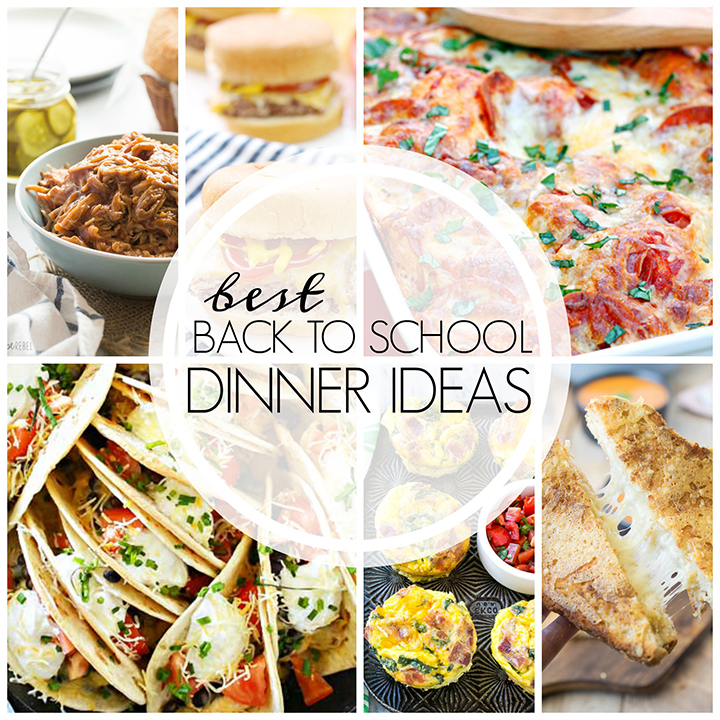 A collection of recipes for the Best Easy Back to School Dinner Ideas for fast family dinners during the busy schedules of the fall! I know school has been in session for at least a couple of weeks now, depending on where in the country you happen to live. 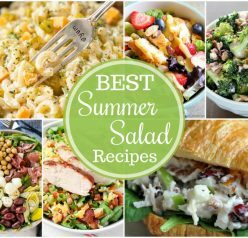 I thought I would team up with my blogging friends to put together some of our favorite easy dinner recipes to help us all ease into the new school year. It’s a little bit scary how fast time goes by. Do any of you have the “Time Hop” feature on Facebook? While I love to reminisce about what I was doing exactly one, two, three, SIX years ago on a certain date, at the same time it makes me feel old. It also hits me in the face how fast the years go by. SCARY! Bed times for kids get earlier this time of year so I think all of you parents (and others who just like to cook simple meals) will really appreciate this collection of easy Back to School Dinner Ideas. Oh, and be sure to check out my new favorite dessert that I posted earlier this week: Pumpkin Spice Latte Cannoli! Enjoy, everyone! 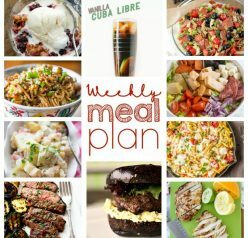 Be sure to pin to for easy access whenever you need dinner inspiration! these will keep mi esposa muy busy! The image link for the Chicken mozzarella pasta takes you to the right place though. Such a well timed post! Yes, bed time is definitely earlier – even though my daughter is a senior in high school. 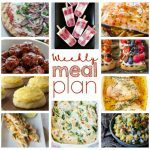 I love this group of delicious weeknight meals! It’s so hard to get dinner on the table some nights, but this is super helpful! I’m going to start with the street tacos and then have the grilled cheese, mmmmmmmmmm, k?! Lots of homey pasta and comforting, saucy meats in the round up. Bring it on, Fall! Oh my gosh. I can’t even pick a favorite this week! I think, like, 5 recipes are at the top of my list. They all look amazing! Whoa, this just might be my favorite week of recipes! 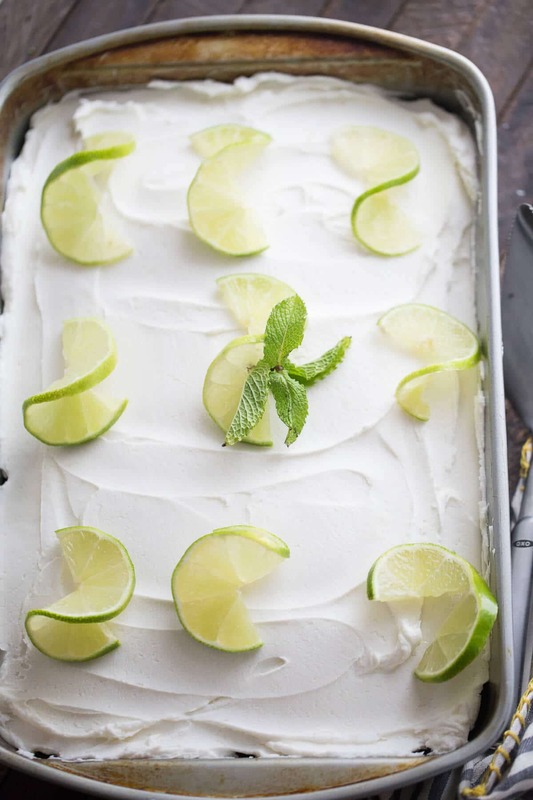 I am always looking for easy weeknight dishes! I want to eat all of these!! That Bubble Up Pizza is especially calling my name! I seriously don’t know where to start. I was like ooooh Bubble up Pizza! Yeah! And then I was like, aaaahhhh, Street Tacos? But then there was Triple Grilled Cheese!!! How does a girl decide? It all looks so freaking good!! GAH! Some of my favorites! What a great list!